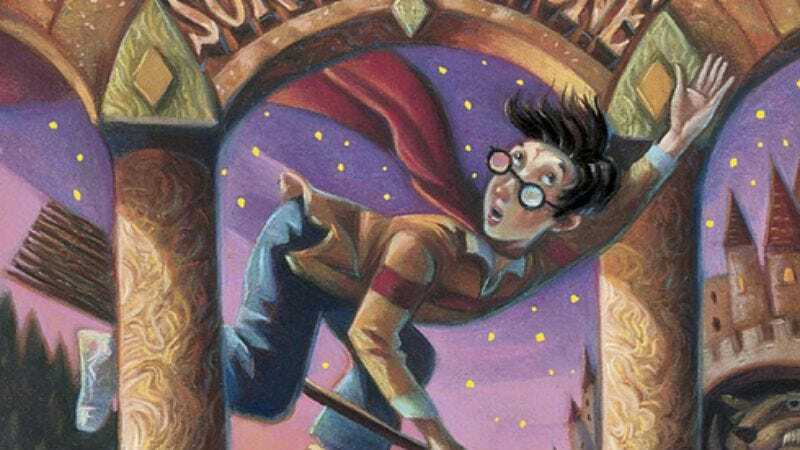 After almost 20 years of having her heroes refer to the unmagically gifted as “muggles”—the wizarding world’s most adorably British quasi-slur—J.K. Rowling has revealed that their magical cousins across the pond don’t employ the quirkily exclusionist term. Instead, the author revealed—as part of an Entertainment Weekly story on the upcoming Fantastic Beasts And Where To Find Them—that Americans use a still-awful but not nearly as charming label for their non-magical countrymen: “No-Maj” (as in “no magic, so we’d best not let them marry our kids”). As someone who’s profited mightily from made-up words—right up there with L.Ron Hubbard and the guy who invented “webinars”—Rowling could have anticipated the negative response. After all, it’s natural for people to grow attached to their cuddly term for the Wizarding World’s genetically inferior second-class citizens, which carries a gentleness that the harsh, slangy-sounding “No-Maj” can’t convey. (Meanwhile, we can’t wait to hear what Americans call “squibs,” the non-magical children of magical families.) Still, given that the movie takes place in the 1920s, it’s possible that we should just be grateful it wasn’t something worse.